The podcaster pleaded not guilty to a charge of second degree murder. Campbell's lawyer did not immediately respond to The FADER's request for comment. Hip-hop podcaster Taxstone was indicted today for the murder of rapper Troy Ave's bodyguard Ronald McPhatter, DNAinfo reports. The shooting took place at a T.I. concert in May of 2016. Troy Ave was shot in the leg and arrested on attempted murder and weapons charges. 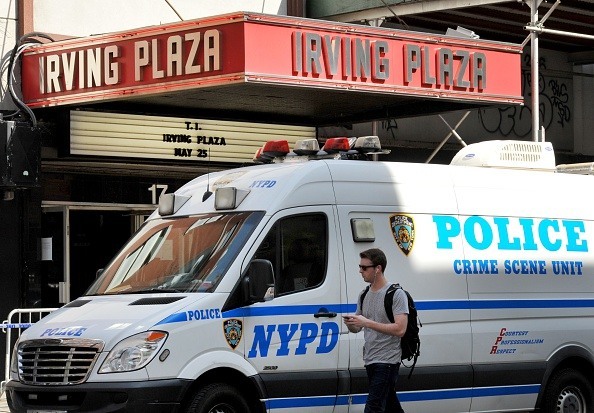 Taxstone, whose real name is Daryl Campbell, was arrested back in January on weapons charges that connected him to the May 2016 shooting at Irving Plaza in New York. He pleaded guilty to the federal gun charges in June. Campbell was charged with second degree murder, and pleaded not guilty during a hearing on Thursday. “We intend to fight these charges and he maintains his innocence,” Campbell’s lawyer told Billboard in a statement.